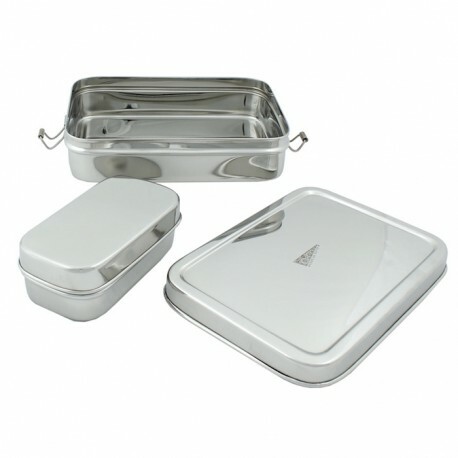 A plastic-free, stainless steel lunch box with clip closure and a separate mini container which fits inside. 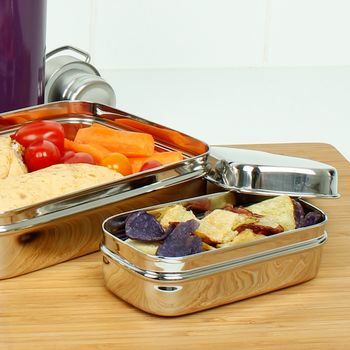 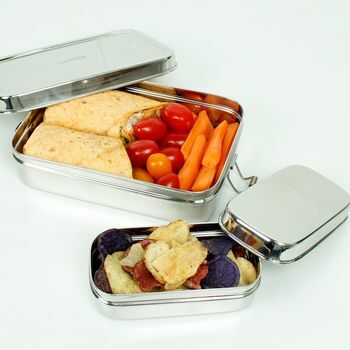 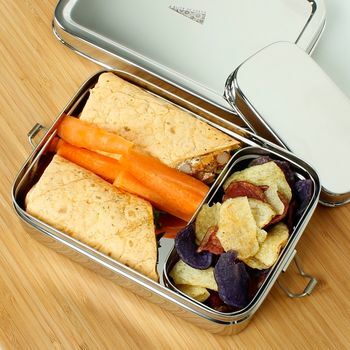 A plastic-free, rectangular stainless steel lunch box with clip closure and a separate mini container which fits inside. 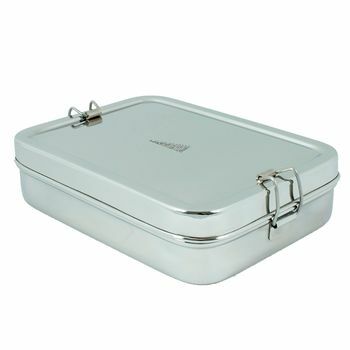 Made responsibly in India. 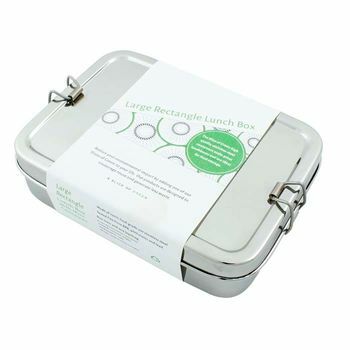 Designed by A Slice of Green, a UK company.